The best way to get to know Wesleyan is to visit our campus. Choose the option that works best for you. Come for a personal visit. Sit in on a class, talk with a professor, or customize your tour. If you live farther away and are just interested in exploring campus, a Saturday Visit may be good for you. 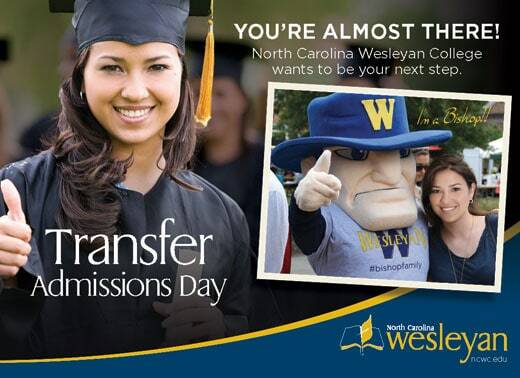 A visit opportunity for a group of students to become familiar with the opportunities at NCWC. Explore What Bishop Life is like and meet other future Bishops. Learn more about what it means to be a Bishop! 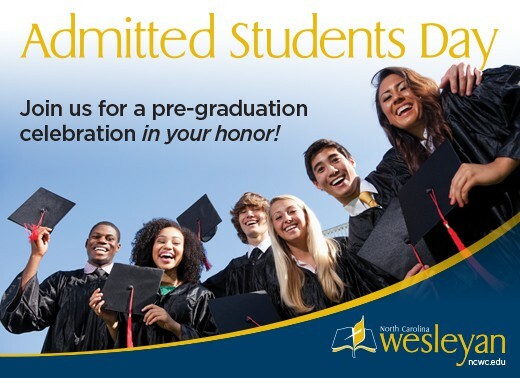 This visit is designed to give admitted students a more in-depth feel for what students experience at NCWC.